For millions of companies, the only way to successfully buy in wholesale is to source and import products from China. China has been the worlds manufacturing hub for countless years, helping to cement them as the cheapest suppliers and producers of a vast array of different products. However, they are not without their drawbacks. Many of the best manufactures don’t have English-speaking representatives (making purchasing from the very difficult – unless you are fluent in Mandarin). Some Chinese products and companies have a reputation for not delivering ‘exactly’ what has been ordered…it’s always a risk unless using a reputable, tried and tested source. 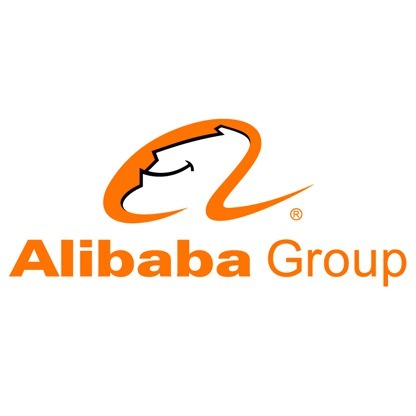 By far the biggest online marketplace for Chinese suppliers selling in wholesale is Alibaba. Businesses can use Alibaba and other similar websites to easily source new and trending products and beat their competition by buying wholesale goods at extremely low prices. One of the main drawbacks of Alibaba for small/start up companies is that they have relatively high Minimum Order Quantities. This means that for each order they place, they have to purchase a specified minimum amount (either quantity ordered or £ amount). This is where Group Buy websites come in to their own. They allow a number of different companies the opportunity to club together to split the order and all take a share of the Minimum Order amount required. Companies can then reduce the risk of holding excess stock, which is especially important for companies trailing new product lines. There are a number of websites and companies specializing in Group Buying – mainly in the Business to Consumer market (B2C), such as Massdrop.com (America) and Grouphunt.sg (Singapore and Asia). Both of these websites have been successful in creating communities of likeminded consumers who club together to join one large ‘buyers group’ and benefit from all the associated economies of scale that come with buying in bulk. There aren’t many Group Buy websites or companies for the Business to Business (B2B) market. The main reason is that most companies are restricted to purchasing products within a specified time frame – and Group Buy purchasing normally takes 2-3 weeks for enough companies to join together to reach the required amount. The way to offer Group Buy purchasing to the B2B market successfully, is to focus on Start up and small companies (including Amazon / Ebay Resellers) as they tend to be more lenient with lead times needed, and they are more focused on achieving the best wholesale price available, whilst reducing risk of over ordering and having excess stock (with all the expenses of storing, and insuring excess stock). Fratsy.com offers just such a service. It is a Group Buy website for the B2B market, focusing primarily on Start Up/small companies and Resellers. In order to improve lead times of products, Fratsy.com focuses on only supplying products that are relatively fast internet sellers – as this increases the number of companies that are interested in the product, and the MOQ will be reached at a faster rate. The Group Buying business model for the Business community is still relatively new, but is expected to be a rapidly growing model as the amount of internet sellers and home businesses increase in the next few years.